This hurricane season has already been one of the most destructive on record. Hurricane Harvey dumped roughly 40 inches of rain on southeast Texas and Hurricane Irma cut power to 60 percent of the state of Florida. Recovery efforts will be lengthy, and expensive, for both Federal and state governments. Verizon is stepping up its efforts to support public safety and relief efforts in storm-battered states. Most importantly, the company is focused on repairing damaged communications networks and infrastructure to help governments focus on other restoration efforts. “Hurricanes Harvey and Irma severely tested the critical networks and infrastructure of the communities in their paths, and left widespread flooding and other devastation in their wakes,” said Mike Maiorana, senior vice president of Verizon Enterprise Solutions-Public Sector, in a blog post. Verizon said that the vast majority of their facilities withstood the storms. According to the company, 98 percent of its network facilities were in service during and after Harvey and 90 percent of facilities were operational after Irma. Verizon credits backup batteries and generators for keeping technology working, as well as massive refueling efforts as soon as was safe. In areas where there was damage, Verizon deployed mobile cell sites, including new satellite picocells on trailers (SPOTS), that use a satellite connection to Verizon’s network to support first responders. To survey damage post-storm, Verizon used drones to assess damage and relay information to its network teams. 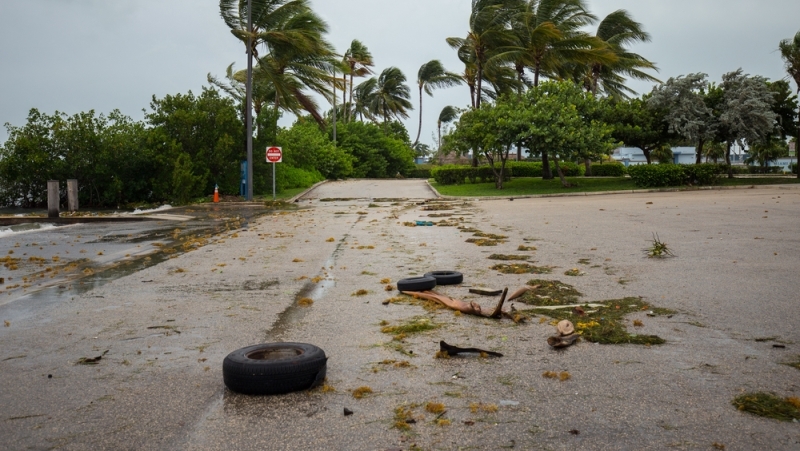 Verizon was able to deploy repair teams and return its networks in both Texas and Florida to business-as-usual levels within a week of the storms. Verizon also deployed additional technologies in both states to support public safety agencies and relief organizations. Two “Big Red” communications trailers, which are 53-foot trailers with meeting space, mobile workstations, and communications services including Internet access and phone service. The trailers give local officials an on-the-ground command center. A “gooseneck” trailer featuring an inflatable shelter and mobile workstations for command-and-control coordination. A wireless emergency communication center (WECC) that offers device charging, computer workstations, and wireless phones, tablets, and other devices for residents to use to contact family and friends. A store-on-wheels for device charging, phone calls and Internet access. Verizon also installed in-building solutions in a FEMA command center and satellite solutions for several big-box retailers to restore service to their point-of-sale systems so residents could purchase recovery supplies. Outside of the Keys, Verizon deployed two WECCs in the Naples area, as well as a WECC and a charging house on wheels in North Miami Beach.